A police search is under way for a teenage boy reported missing from home. Noah Lomax, aged 15, was last seen in Crookes at 9.30am yesterday. 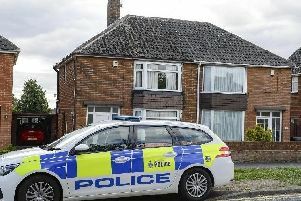 The teenager is known to have visited the Mexborough and Conisbrough areas of Doncaster recently. He is white, 6ft tall, slim and has mousy brown hair and blue eyes. When last seen he was wearing denim shorts and a white T-shirt with a flower pattern on it. Anyone with information on his whereabouts should call South Yorkshire Police on 101 and quote incident number 423 of August 1.